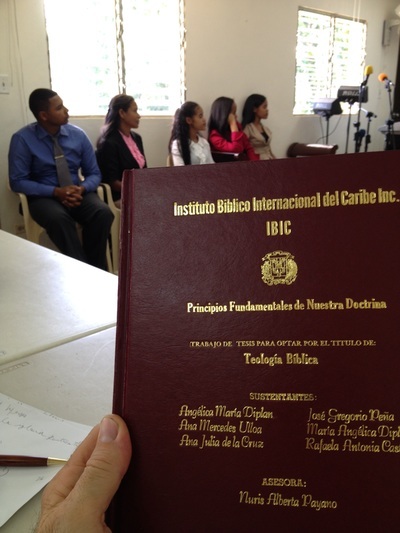 The Instituto Bíblico Internacional del Caribe (IBIC) has played a large role in the growth and success of the work here. This program is training strong national leadership to continue the evangelistic efforts throughout the country. The main campus is located in Santo Domingo with satellite campuses in La Caleta, Santiago, Puerto Plata, Imbert, Jima Arriba, La Guamita, San Pedro and La Romana. 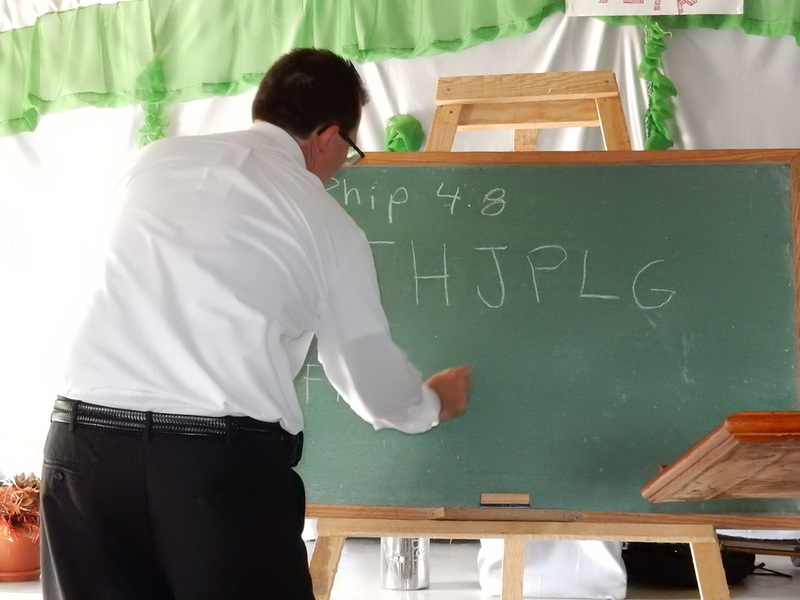 We are also teaching short term Bible School programs in Bermejo, Azua, Baní & Higuey. 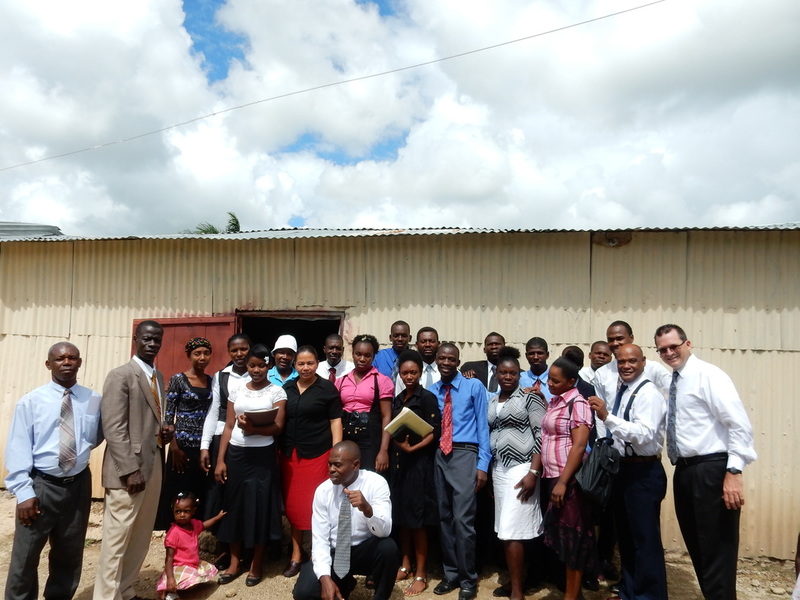 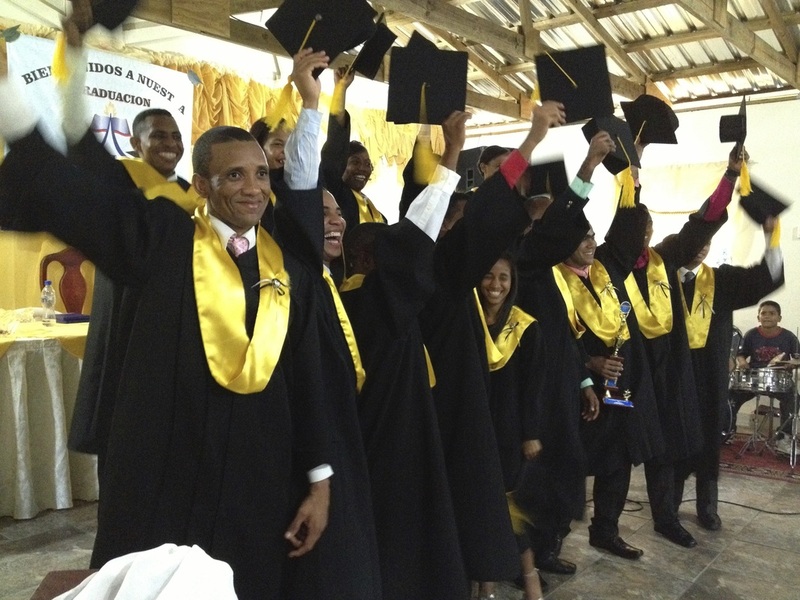 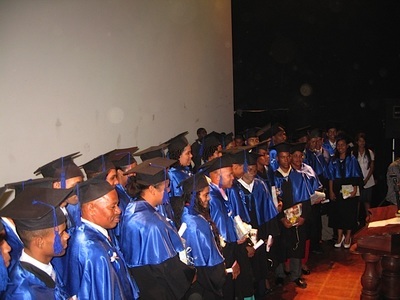 This year, 21 students graduated from the Bible School program. Our current projection is to have 200 students in the 2015/16 school year. 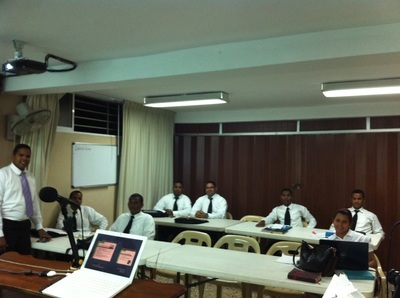 3rd year students preparing to present their graduation thesis to the directors of the Bible School.